Windproof: The windbreaker featuring detachable and adjustable hood and fur collar, powder skirt and stretchable thumb holes design will keep wind out effectively. 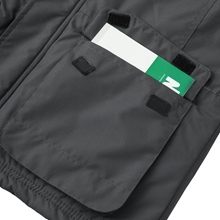 7 Multi Pockets: 1 arm pocket can store your ski pass or cards. 2 plus hook-and-loop hand pockets with flaps can save your note or gadgets and 2 internal pockets are perfect for your goggle and wallet. 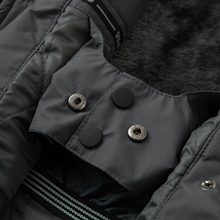 Special Design: Detachable hood with a detachable fur collar. Adjustable drawstring at waist shapes your figure better and improve thermal performance. 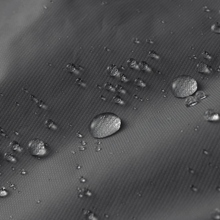 We've used the professional waterproof and insulate technology to this classic winter ski jacket, delivering an even warmer winter weather fighter.The technical outer shell is waterproof windproof and breathable, with adjustability at the hem, and cuffs. The detachable hood can be adjusted to get the right fit and protection in inclement weather. And multiple zippered pockets keep gear safely stowed. 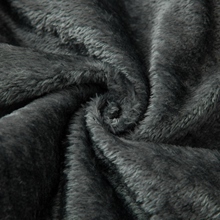 The fleece lined ski jacket will keep your body heat while maintaining a high level of breathability.